I seldom travel downtown because I can get almost everything in Seremban 2 (another part of Seremban). There’s one night as Alex and I decided to head to Seremban town. 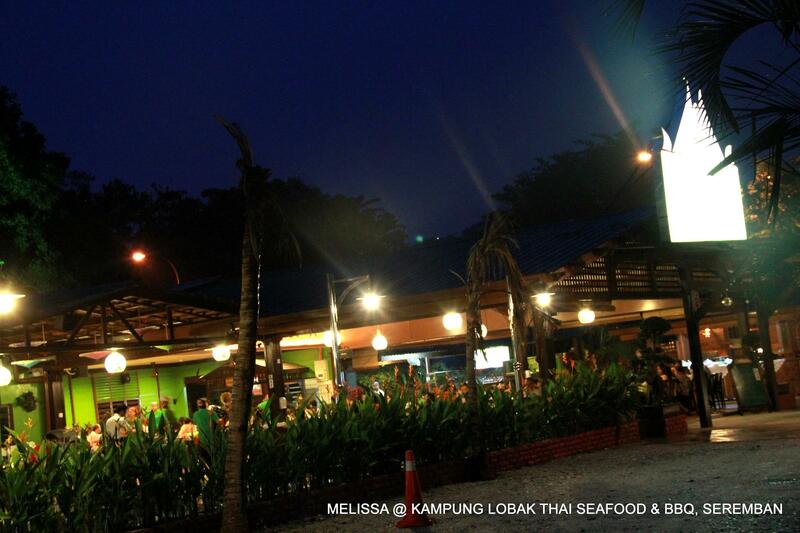 We passed by this Kampung style restaurant located kinda off-sight, slightly below the road with many diners. Somehow, we did not have any thoughts to make a stop there. Until one day I saw a friend of mine posted the dish on his Facebook, saying “good Thai Food here”. All this while I thought its just an ordinary Malay restaurant serving Malay food (nasi goreng kampung, mee goreng, nasi paprik, mee bandung). One day, I told my colleague about this place. She went and returned the next day showing me a “thumb up”. WOW….seems like I mustn’t miss this place. 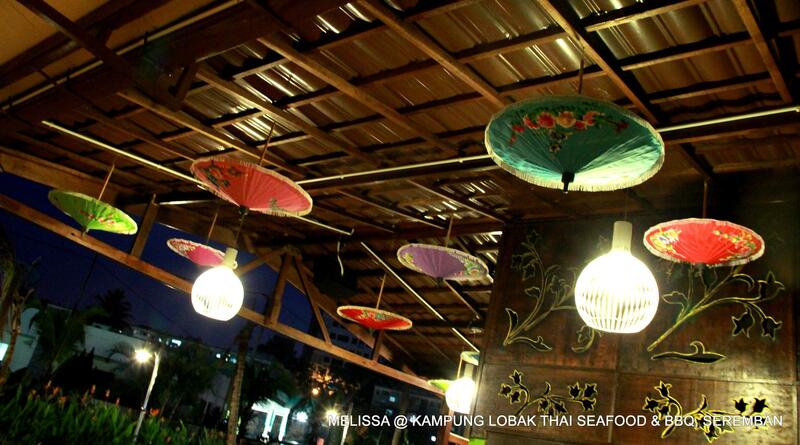 Moreover I love spicy food, especially Tom Yam, my favorite!!. 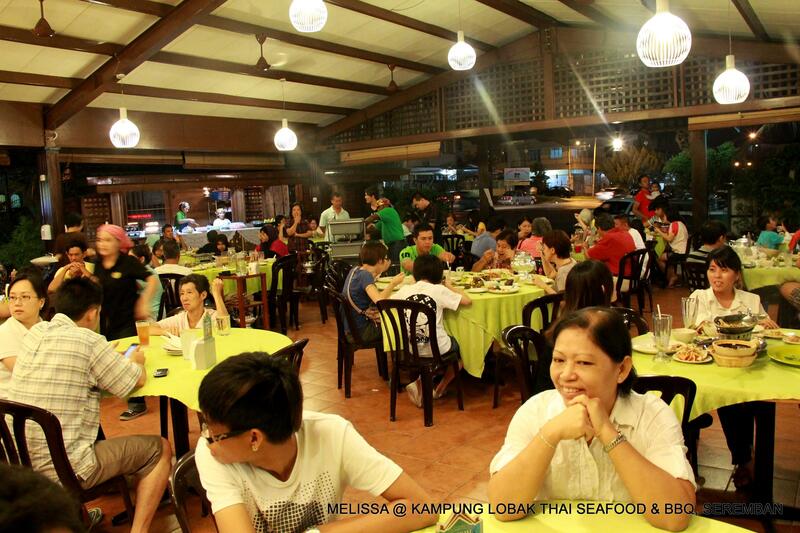 The Kampung Style Restaurant serving Thai Food. Good ventilation. 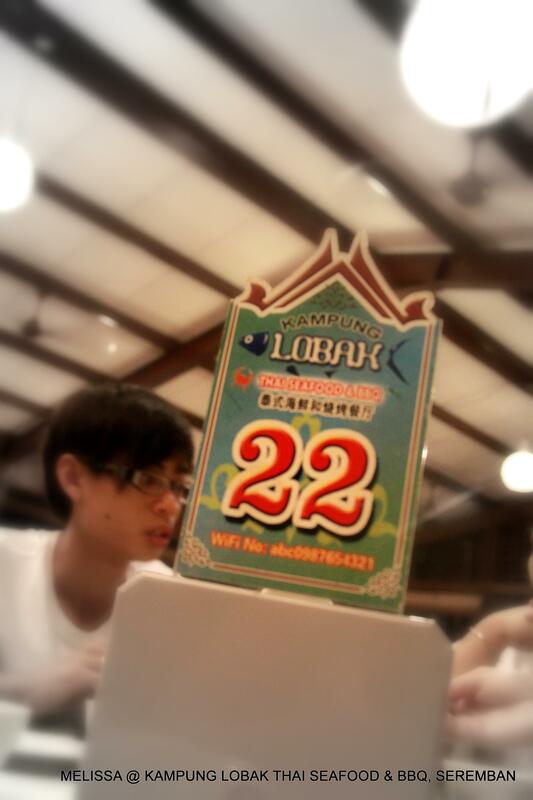 I noticed most of the diners are Chinese. Worry not…this is a HALAL restaurant. Though it was crowded, but the food served were pretty quick! Dun play play….got WiFi summore…. The clams are fresh and not overdo. Lightly dip the bbq clams in the sauce. Both sauces were good. Very spicy too…. 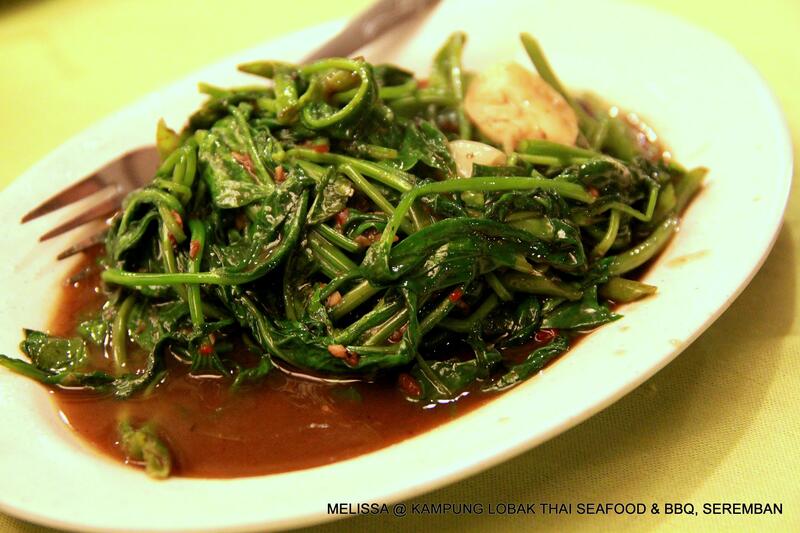 Kangkung or Water Spinach stir-fry with belacan (shrimp paste). 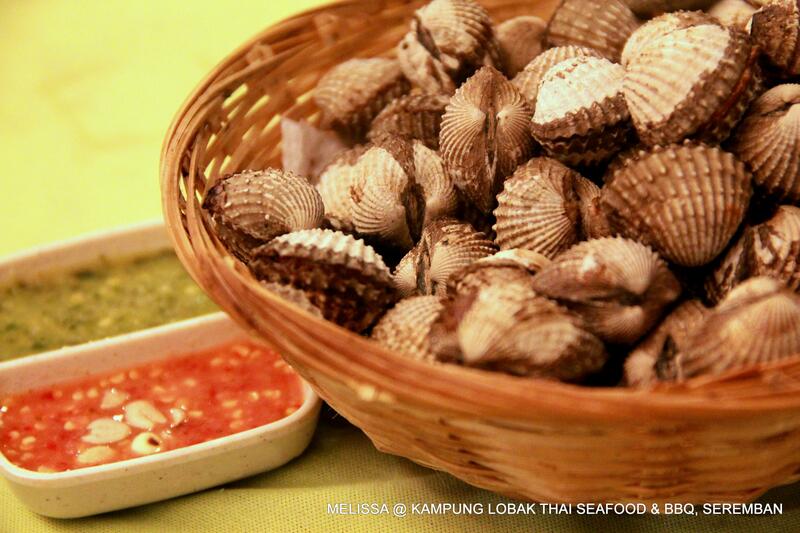 A must have dish in a Thai restaurant! Anyway, this was good though. 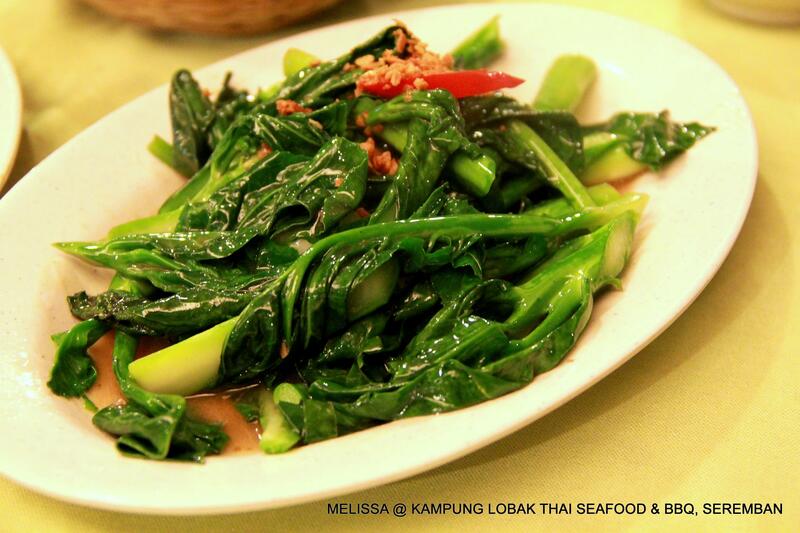 Though the kailan wasn’t overcooked, but too bad don’t have much taste of the salted fish. We requested this to be cooked without chili. 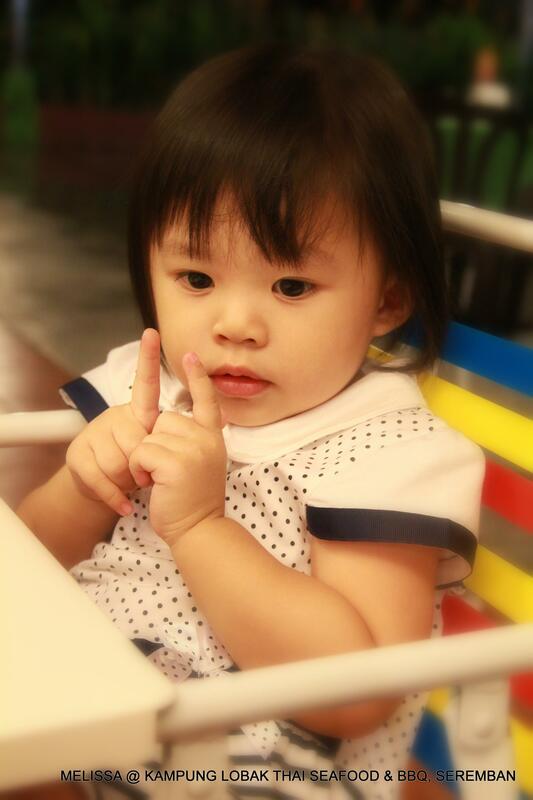 So that Vernice can eat. And she enjoyed it. If you dislike the taste of basil leaf, don’t worry because the flavor of basil leaves did not overpowered the taste of chicken and other marination. The price of this fish is kinda expensive. However lets ignore the price and enjoy the dish. The fish was fresh. While the soup is spicy and has alil sourish taste. Served under the burning charcoal (underneath the tray). 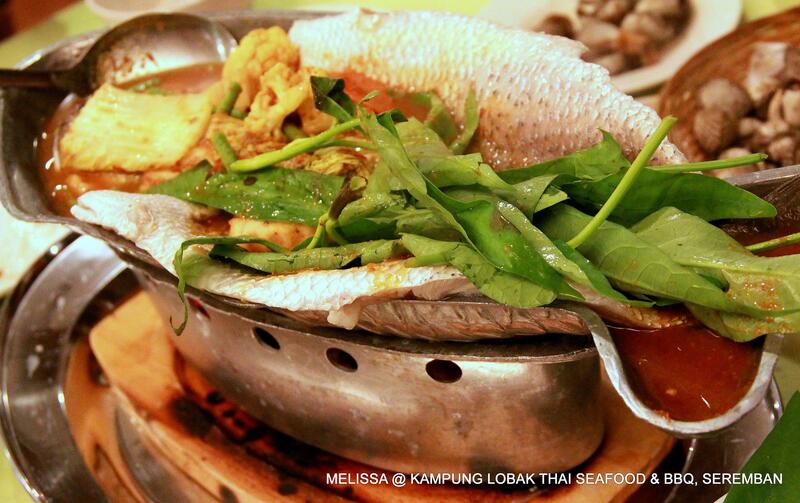 You may enjoy eating the HOT & SPICY fish, including the soup till last piece. Beware, the soup/ gravy is darn spicy. I needed a fire extinguisher!!! 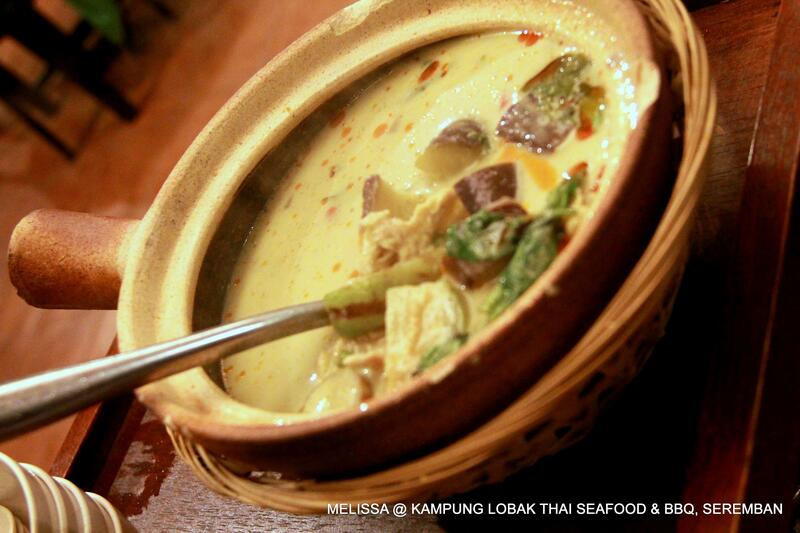 A pot of hot & spicy tom yam, yet not too sour filled with mushrooms, onions, tomatoes, crab, squids, prawns. A literally sweet curry in Thai cuisine. Its is less spicy. What’s in the hot pot? There are eggplants, basil and chicken. Somehow I preferred the curry to be more concentrated. 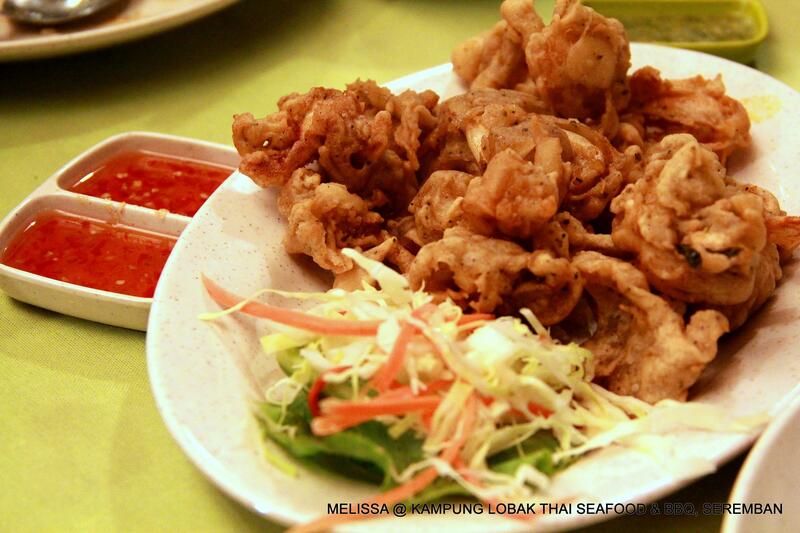 Deep fried squids was not bad. Not too dry or hard and they are crispy. With a light taste of garlic and pepper. 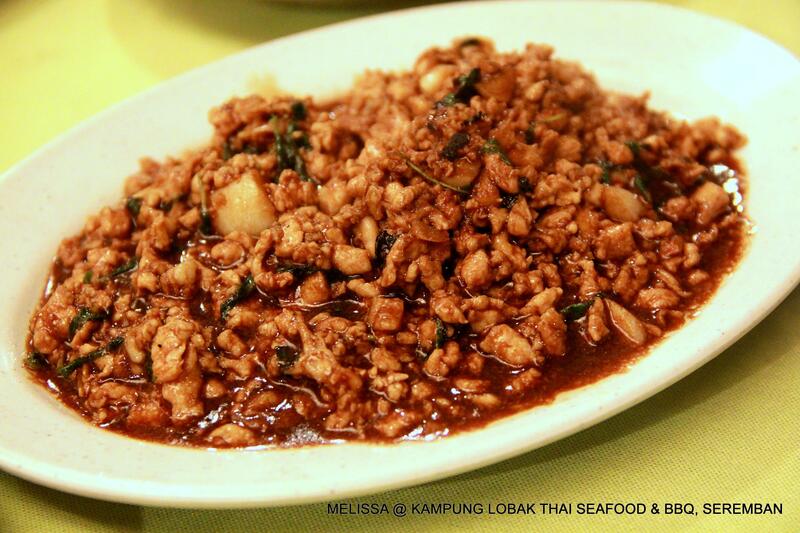 Dip in the Thai chili sauce and pop into your mouth. 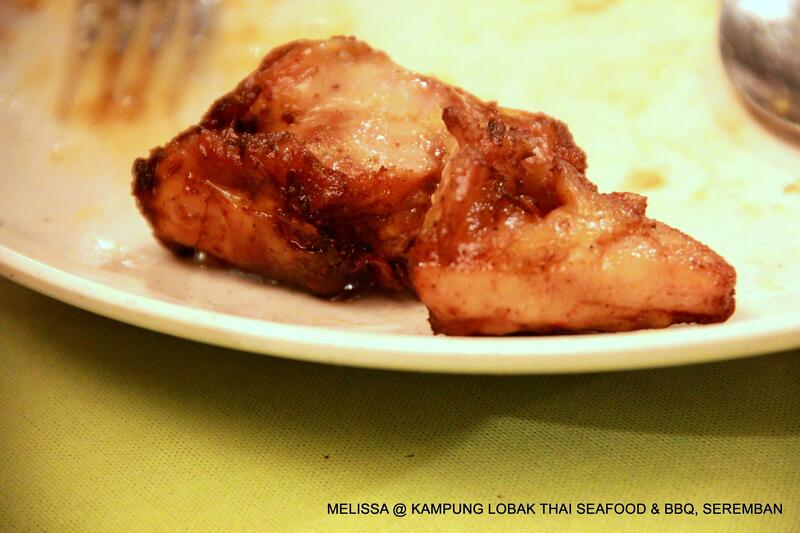 Boneless chicken are well marinated with seasonings and spices then wrapped with Pandan leaves before frying them. 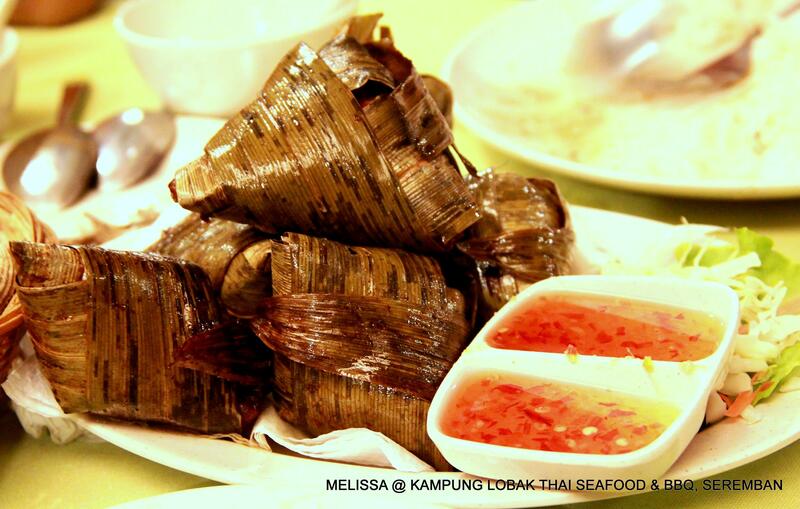 Wrapping with Pandan leaves able to enhance a sweet aroma towards the chicken. The size of meat per piece was quite big. Moreover its tender and flavorful. Thumbs up! 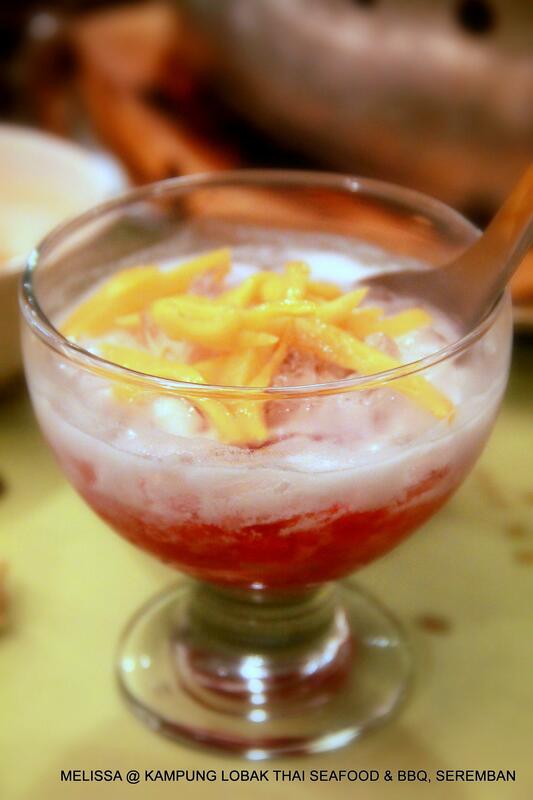 Its a popular Thai dessert. Those red rubies like thing are actually chestnuts coated in tapioca flour. So, you will have the effect of chewy outside and crunchy inside. 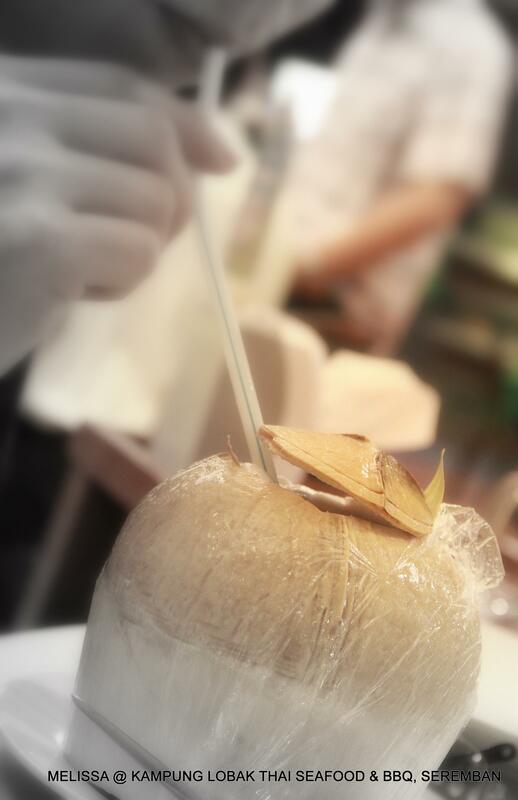 Served in the form of ice-shaved coconut milk together with slices of nangka(jack fruit). You’re right, the siakap is overpriced. Siakap is pretty cheap to buy outside. 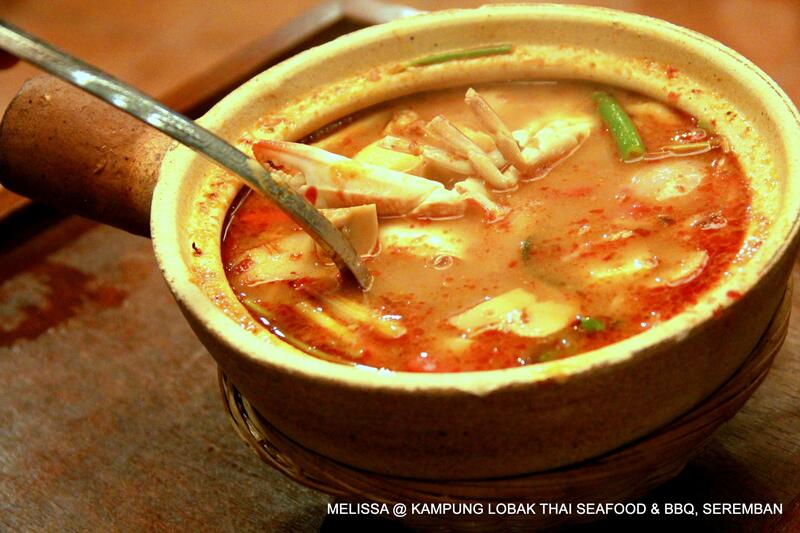 You make crave for tom yum!!! Arghhhhhhhhhhhhh. Hi marshal. Thanks for dropping by. It has been quite sometime since my last visit. The price has increased now?? Thai food always can appeal my appetite! Choi Yen – Yahh!! Especially about the sour & spicy food….